From our Eritrean kitchen to yours. My maternal grandfather, Lucio, never met a culinary problem that couldn’t be solved with steel. He was a machinist, by trade, and among the devices he’d put together for kitchen use was a meat slicer made from a table saw (just in case your prosciutto happens to be in a roll-top desk you can’t open) and a chitarra for cutting pasta (that would probably have supported the weight of a Range Rover). But one of his most distinctive conversions came in the form of an old washing machine drum he turned into a cooktop to make injera. 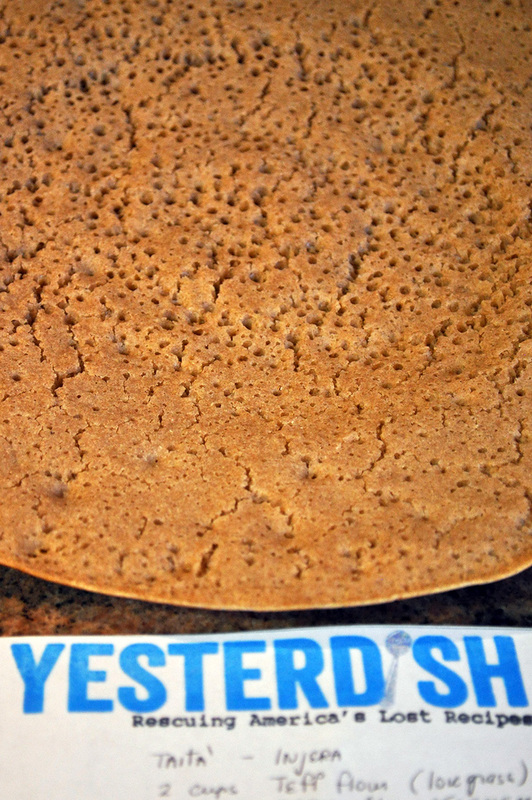 Injera is the staple bread of Eritrean and Ethiopian cuisine, the one item that I can assure you that you’ve had no matter what Eritrean or Ethiopian restaurant you’ve visited, because it accompanies absolutely everything. It wouldn’t surprise me if ordering a side of injera (or taita if you prefer the Tigrinya dialect) came with its own, smaller side of injera. 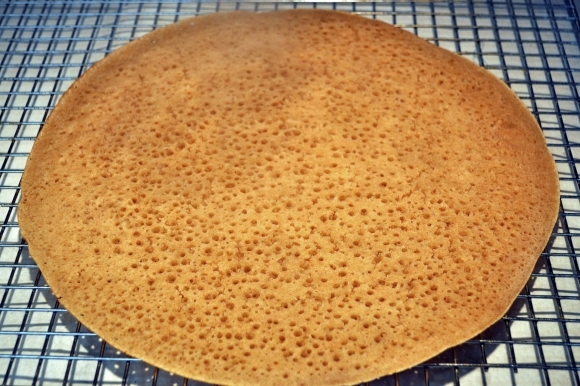 Which isn’t an accident, because injera’s role to the meal is structural; it lines the plate on which the food is placed, absorbing all of the juices, and torn pieces of it are used to pinch and lift the food to your mouth. In short, injera is as important to cuisine in the Horn of Africa as plates, silverware, and baguettes are to the cooking of France. This captures the spongey sourness of the original, that pairing that nothing North of Carthage or West of Rome has ever quite duplicated. 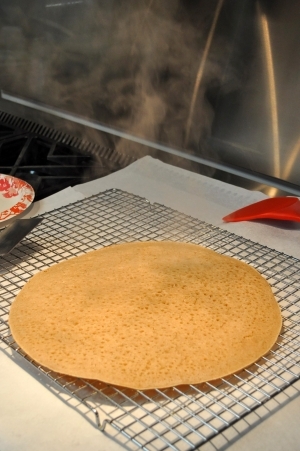 In the Parma, Ohio of the 1980s, making injera was a Herculean task. First, there was the problem of acquiring teff, a task that is easier today, given the modern predilection to look for alternative grains. 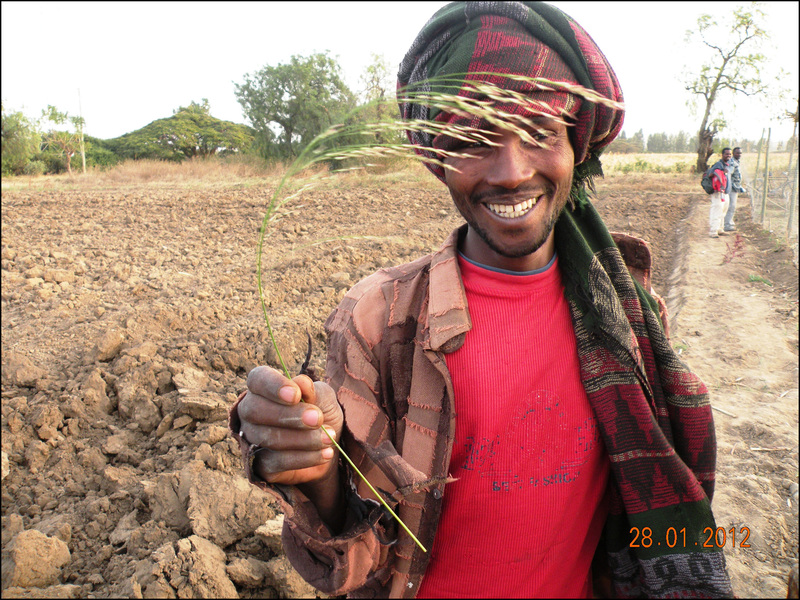 Teff is a staple in Ethiopia and Eritrea, one especially suited to the climate and with a strong nutritional profile. High in fiber, calcium, and amino acids, it’s also gluten-free (as it’s technically a grass, not a cereal grain). It’s about 14% protein, higher than barley or millet. It cooks quickly, doesn’t require a great deal of water, and is easy to sow–it sprouts in about 36 hours. In fact, about the only thing wrong with teff is that it’s exceptionally difficult to harvest, and even harder to grind, primarily due to its size. 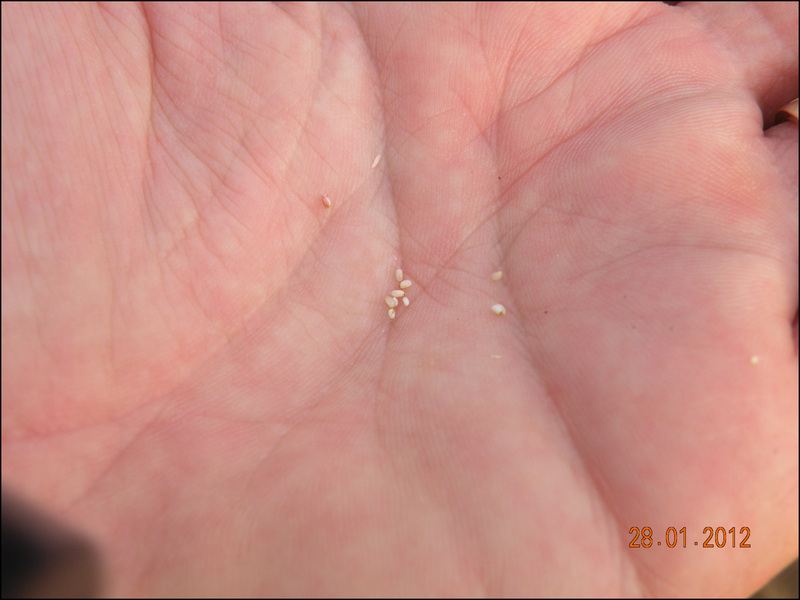 It takes about 100 teff seeds to equal the volume of a kernel of wheat and about 150 to equal the weight. And if you want just a single gram of teff, it’ll take three thousand seeds. 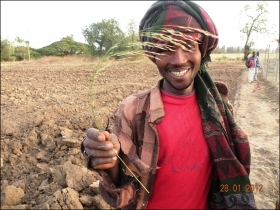 There’s some debate as to whether the Amharic word for “lost” is the origin of teff’s name, or the word for “lost” came from the name for teff. As the grain was being harvested at least three thousand years ago, and possibly as many as six, there’s no real way to tell at this point if it’s a connection or a coincidence. 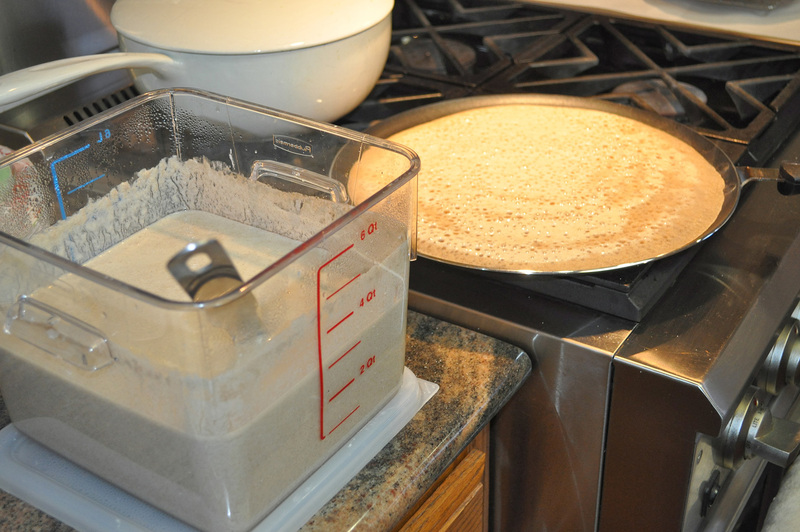 So in order to attempt (to the extent possible) to recreate the complexity of taste of authentic injera, most domestic versions contain a mixture of grains with some amount of wheat flour and, often, baking powder, here in the form of self-rising flour. 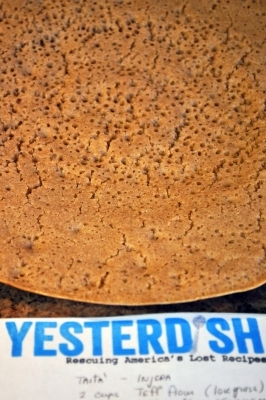 The inclusion of baking powder creates controversies with two groups: one, the Eritrean and Ethiopian purists who oppose the use of chemical leavening in injera, and two, the Western cooks who take it as an article of faith that you’d never want both yeast and chemical leavening in the same product. 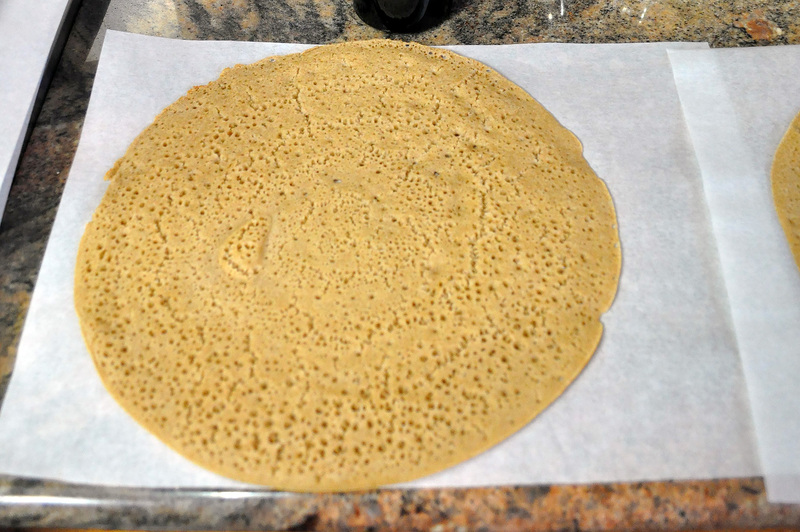 The latter is easier to dismiss, given that the texture and flavor of injera have no equivalent in Western cooking. 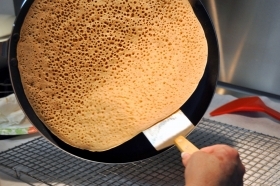 The fact that injera exists beyond the outer limits of the understanding of Western cuisine is sufficient to render useless all culinary axioms originating from a man in a toque. As for the purists, the problem with re-creating authentic injera is similar to the problems with creating a wood-burning brick-oven pizza, except exponentially more difficult. 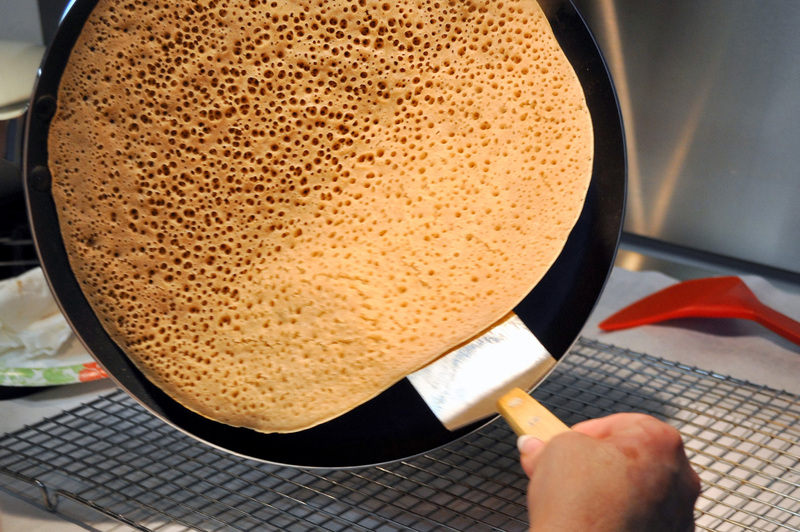 Authentic injera is cooked on a mogogo, a non-porous blackened clay cooking vessel with a lid over an active wood and charcoal fire; while it’s not quite a science, the temperature inside that vessel is probably around 375 degrees Fahrenheit, maintained very well by the clay. The bubbles are caused as much by the sudden boiling and steaming of the batter than by yeast. There are a number of complications in re-creating that environment indoors. 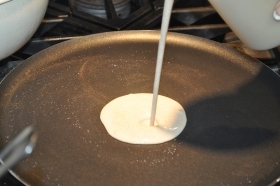 While a gas stove could certainly put out the energy to heat something to that temperature, you’d need to use something like an enameled cast iron skillet; but the skillet couldn’t be bigger than the burner underneath, or else it’ll cook unevenly. And enameled cast iron skillets generally don’t come with lids. 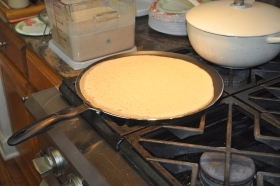 You could hypothetically use an enameled cast iron French oven (like a Le Creuset), but extracting the finished injera from the bottom of the vessel would be half the battle. Scrubbing it with salt while keeping your hand in one piece would be the other half. 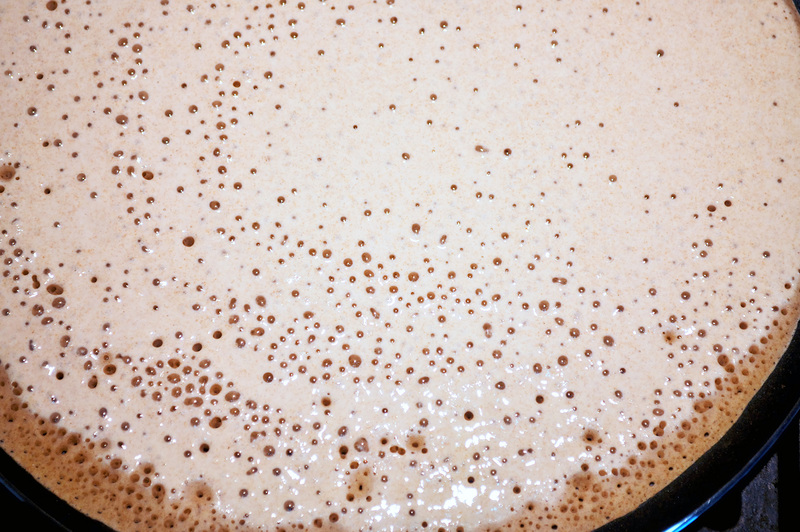 So in this application, the baking powder’s second rise, triggered by heat, actually helps to create the bubbles on the injera–the “eyes,” as they’re known. It doesn’t really impart a flavor, because the teff and sorghum (and fermentation) are more than strong enough to avoid any chemical aftertaste. 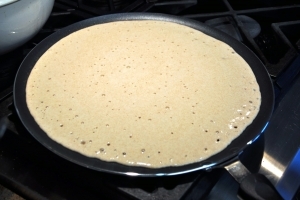 Since we no longer need the same steaming and heat to create the eyes, we can use a pan designed to make large, flat, pancake-like substances that are easily removed: a nonstick crepe pan. Which brings me back to my Nonno’s solution, and the old washing machine. He ripped out the insides and placed gas burners in it, then a metal plate above them, creating a large, very hot, lidded surface–a mogogo by way of Whirlpool. It’s a magnificent device, although certain provincial notions about huge metal boxes full of open flame would prevent me from using it in my apartment complex. But I live in the D.C. metro area, where the largest diaspora population of Ethiopians and Eritreans in the world lives and works. I can buy some domestically-produced injera at the Seven-Eleven near my apartment, where it’s stocked by Habesha, for Habesha. And it’s fairly good. 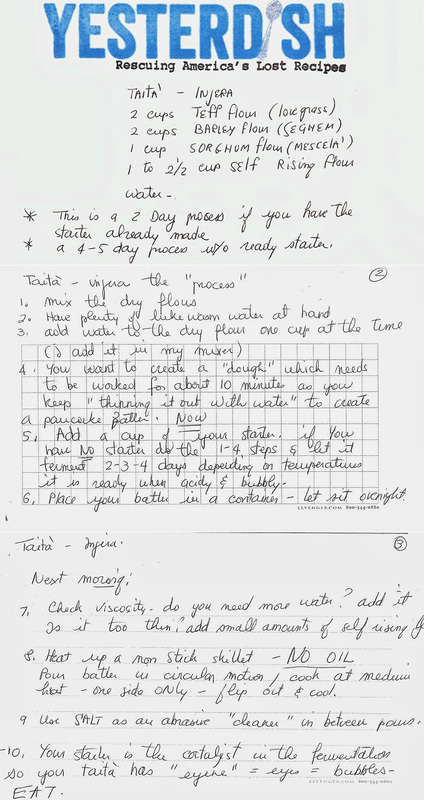 This is a 2 day process if you have the starter already made. 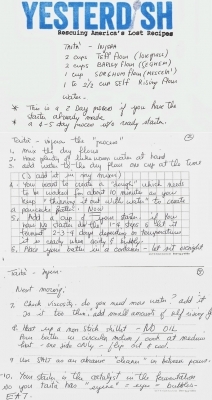 A 4-5 day process without ready starter. Have plenty of lukewarm water at hand. Add water to the dry flour one cup at a time. 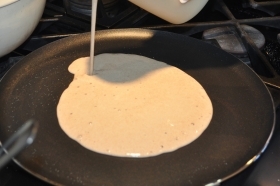 You want to create a “dough” which needs to be worked for about 10 minutes as you keep “thinning it out with water” to create a pancake batter. Add a cup of your starter. If you have no starter do the 1-4 steps and let it ferment 2, 3, or 4 days depending on temperatures. It is ready when acidy and bubbly. 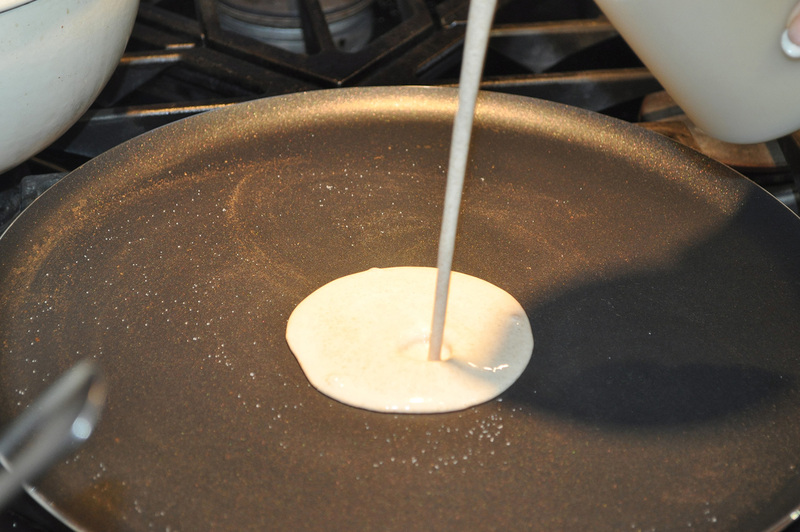 Place your batter in a container–let it sit overnight. Check viscosity–do you need more water? Add it. Is it too thin? Add small amounts of self-rising flour. Heat up a nonstick skillet–no oil. 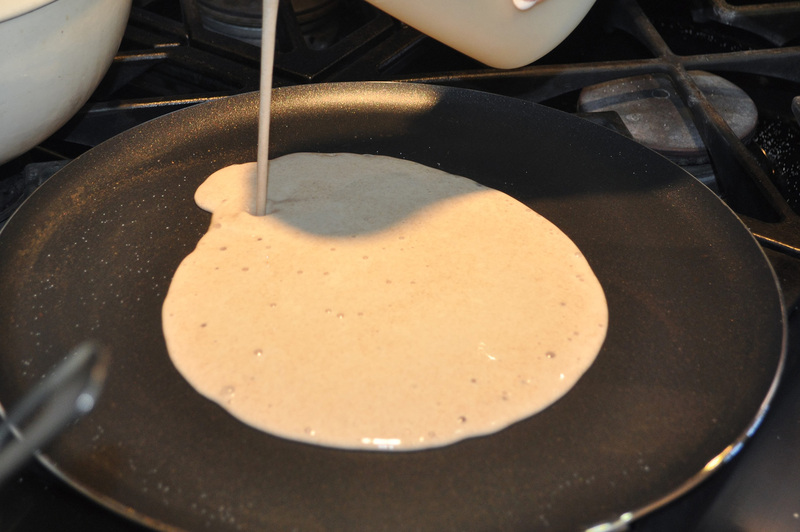 Pour batter in a circular motion and cook at medium heat–one side only–flip out and cool. 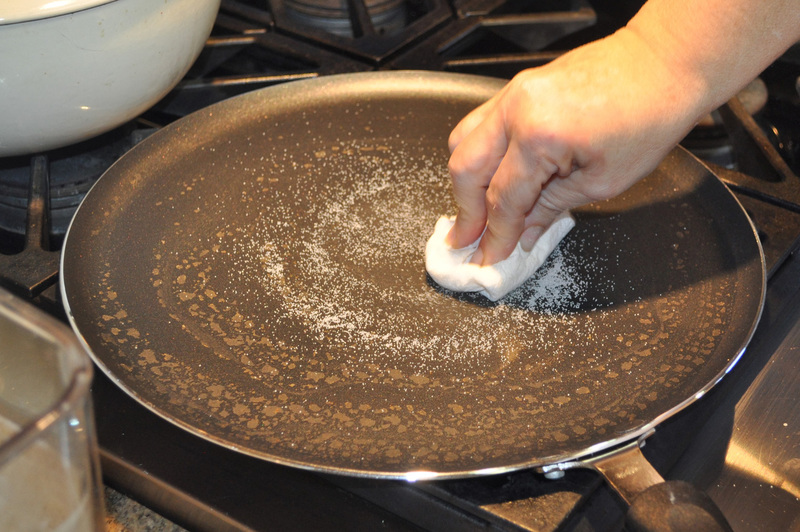 Use salt as an abrasive “cleaner” in-between pours. 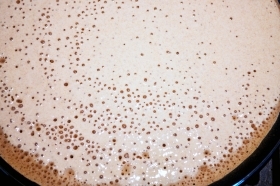 Your starter is the catalyst in the fermentation so your taita has “eyene” = eyes = bubbles. The second version in this box. The first is here. From a box sold in River Forest, Illinois. With molasses, vanilla, and walnuts. And now I want to come over to your house. Amazing post. Thank you so much. Potassium bicarbonate or potassium carbonate. The bicarbonate is a leavening agent that is usually indistinguishable from sodium bicarbonate--baking soda--in the finished product. Use baking soda, although places that sell home brewing equipment often have the bicarbonate, if you absolutely must have potash.